February Eve is based on the Gaelic holiday Imbolc, a celebration of the Goddess Brigid and the beginning of spring. Celebrations historically began on January 31st at sunset and continued until February 1st because Gaelic days began and ended at sunset. The Gaelic Irish would light hearth fires, create corn dolls to Brigid, and visit holy wells. Today, February Eve is celebrated as a holiday of new beginnings. The snow and deep freeze represent the cleansing and renewal of the earth, but life is just beginning to stir beneath the frigid land. The beginning in the cycle of life, the spark of hope like the first time a newborn opens their eyes, this sabbat is the start of something fresh - a renewal of sorts. The midpoint between the longest night and the coming equinox, spring is still a distant thought here in Midwestern Kansas City. Our grounds are still frozen solid and we likely still have a few more bouts of heavy snow to come. While it may hardly be planting season, this blanket of snow and hard-frozen grounds is a purification for what's to come. This year's February Eve occurs scientifically on Sunday, February 3rd, 2019 at 9:01 PM CST. Every year it shifts slightly, so I would suggest checking Archaeoastronomy.com if you're coming to this article after 2019. 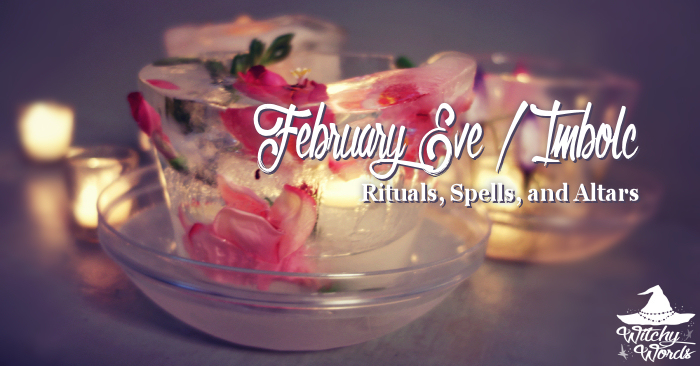 Stay tuned for more crafts, spells, and altars related to February Eve!